The Sweet Sight of Success: Sweet Pepper Seedlings! They may not look like much, especially in comparison to the thriving vegetable seedlings that have been growing rapidly over the past 3 weeks, but believe it or not, these tiny sprouts have got me very excited indeed. Last year, I planted several chilli and sweet pepper seeds with absolutely no success whatsoever. I'm not sure whether the conditions had not been right, whether I had a bad batch of seeds, or whether the weather had simply been too cold, but 2012's attempts at chillis and peppers was a non-starter. This year, I have been determined to have another bash at sweet peppers and utilise hot, sunny spaces, such as my mini greenhouse and the sunlight in my attic. 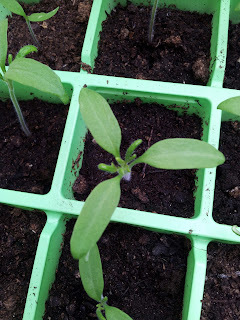 As you can see, these tiny seedlings have germinated and I currently have about a dozen that I am hoping to grow into fully-fledged plants ready for a summer crop of delicious sweet peppers. As a novice growing sweet pepper, I'd be delighted to hear from all of you with experience growing these plants, with the findings and comments turned into a blog post to share that knowledge with the entire London Vegetable Garden community. Comment in the box below, tweet me @londonveggarden or come and leave a comment on the wall of our Facebook page, Urban Gardeners! Chelsea Flower Show Book Competition: Results! Back in the middle of April, I reviewed the fantastic new book, 'RHS Chelsea Flower Show: A Centenary Celebration'. As well as an exclusive 20% discount for readers of the London Vegetable Garden, I was also offering one reader the chance to win a copy of this fascinating book. To win this book, I asked entrants to comment on the Facebook photograph and tell us what gardening means to them. In the end, there was only one clear winner: congratulations Sandra Laing! 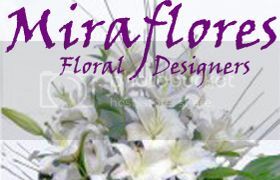 “My father in law was a professional gardener and my dad was a passionate amateur horticulturist. I loved them both dearly and sadly both are now deceased but when I am in my garden or on my allotment I feel so close to them both. I like to imagine them standing shoulder to shoulder watching their daughter planting and weeding and knowing they would be nodding in approval or tut tutting as I plant something in the wrong way or place, like my loganberry I planted last year with no support and so it grew all over my allotment on the ground! What a wonderful, wonderful statement of what gardening means. Congratulations Sandra – your book is winging its way to you. Enjoy! 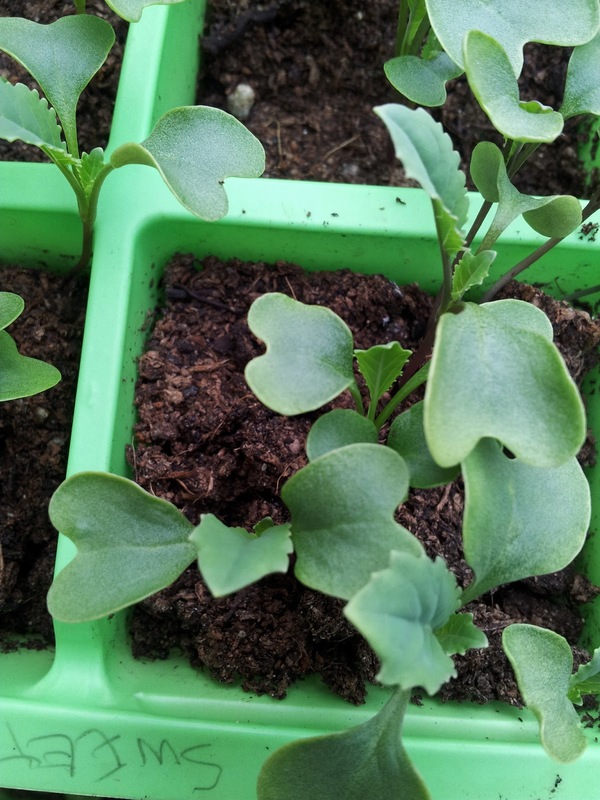 It is now 17 days since I planted the first of this year's vegetable seeds (which you can read about here), but already the vegetables are springing into life! 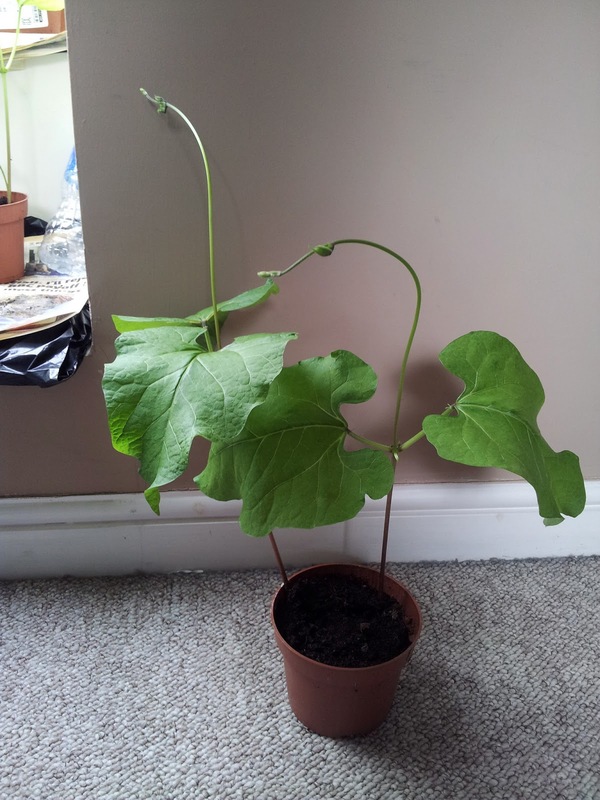 You'll notice that the last picture of the runner beans is perhaps the most impressive! The tallest plant stands at 40cm after less than 3 weeks, which is extremely fast! However, last year my runner beans all struggled outside and were eaten by bugs and withered away very quickly, so I'm determined to have more success this year! 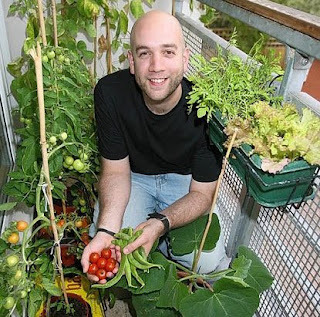 I have read that vegetables producing fruit (tomatoes, cucumbers, sweet peppers etc.) require a great deal more light and warmth than those that we grow for their leaves (cabbage etc. ), so I will be looking to implement the former into my greenhouse. 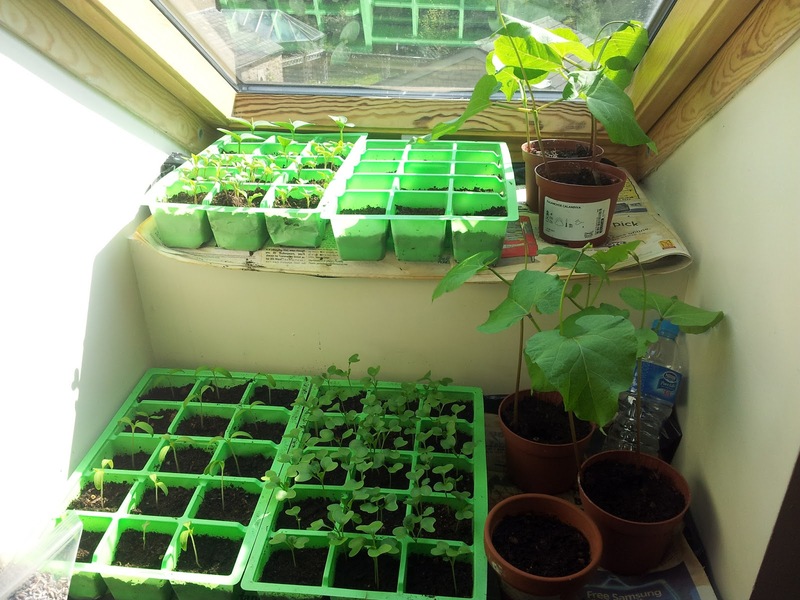 As you know, the London Vegetable Garden blog also loves to experiment and look at gardening tips and projects for limited space, so I will also be looking to utilise this attic skylight garden for some plants, once again, aiming to show you that anyone can have a go at growing their own vegetables, regardless of space! The nights are still very cool in the Peak District, so I will not look to harden these vegetable plants off just yet, choosing instead to keep them growing into hardier plants in their current position. 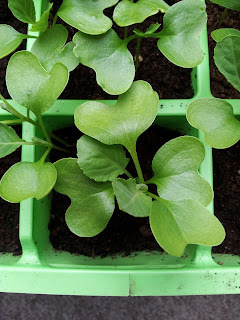 Whilst a garden, patio or balcony full of vegetable plants requires a committed level of care and attention, I actually think that vegetable seedlings are perhaps more needy. Regardless of where I've gardened – the Hackney balcony (spiritual home of the London Vegetable Garden), Surrey allotment or Peak District cottage garden – I've always grown my vegetable seeds in pots and trays on windowsills, due to the absence of a greenhouse (you can read more about growing vegetable plants on a windowsill here). And in my opinion, whether for the amateur urban gardener or the seasoned veteran alike, this is now when the serious care and attention begins. I planted 2013's vegetable seeds last weekend, but have not watered them every night; in fact I have only watered them a couple of times since sowing, but then it has not been overly hot up here in the Peak District! Now these vegetable seeds have grown into vegetable seedlings however (see last weekend's blog post), much due care and diligence is required. Here is my tip to ensuring that my cauliflower and cabbage seedlings will thrive and grow into sturdy vegetable plants. Depending on your growing conditions, your vegetable seeds may not need watering every single day. However, it's essential that you check! 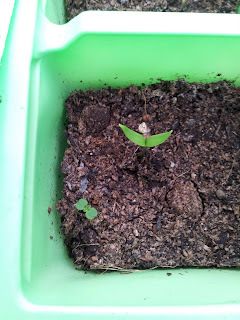 As I have previously said, I have not checked my plants and pots every day; but now they are seedlings, they are highly vulnerable. Simply check them each day and make sure the soil is damp enough that the seedlings have enough water to drink. One of the factors that can lead to dry, parched vegetable seedlings is, unsurprisingly, heat! Whilst it is important for young plants to receive enough warmth, it's essential that they are not left to dry out. If you are growing your vegetable seeds in a greenhouse, ensure ventilation and check daily to ensure that the greenhouse has not acted as an oven. 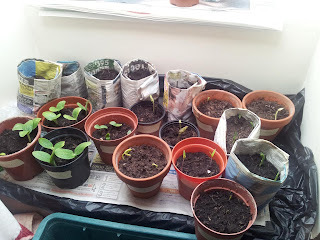 Alternatively, if, like me, you are growing your vegetable seeds by a windowsill, ensure that they are not being baked alive! 'Thinning' is something that happened to my hair when I was 21 and rapidly went bald! 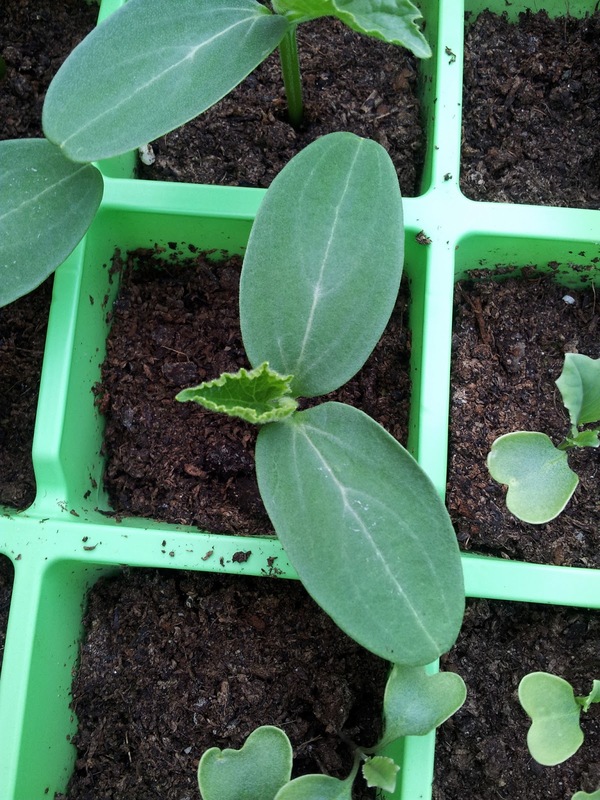 But thinning out is also the practice of stripping away weak seedlings to give the strong ones a better chance. In many of my trays and pots, I have planted a few seeds, to compensate for the few that won't germinate. However, seedlings are all about the roots – and when seedlings are in cells in trays, or small pots, they will compete with other seedlings for root space. If you have one or two really strong seedlings, 'thin' them out by pulling up any other ones and thus creating more root room for the strong seedlings. I hope that these three tips bode you well for your horticultural adventures – good luck! And remember, I'd love to hear how all of you are getting on – feel free to share pictures, chat with other gardeners or simply come along and 'like' us on our Facebook page, or come and have a gardening chat with me on Twitter, @londonveggarden. Happy vegetable gardening! Greenhouses: Not Just Cold Steel! When one typically thinks of greenhouses, images of steel frames and cracked glass comes to mind: in essence, something that is sparse and cold: the exact opposite of what a greenhouse does! 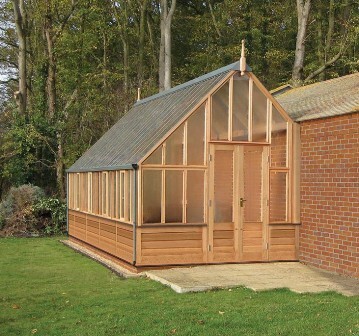 But greenhouses don’t have to be a cold, steel construction: Gabriel Ash stocks a wonderful range of high-quality wooden greenhouses, including a range endorsed by the RHS itself. 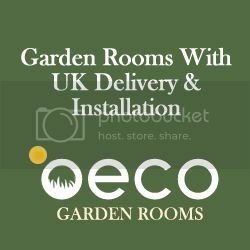 Instantly, this transforms the garden ‘shed’ and ‘greenhouse’ into a pretty outdoors building that can be utilised in many more ways. What better way to entertain friends in the summer, than by sitting in the pleasing warmth of an outdoor, organic conservatory, filled with the heady and aromatic smell of warm tomatoes? Or sitting down to read the newspaper? Beautifully-designed products such as these can offer the amateur gardener so much more than simply ‘a greenhouse’ or ‘a shed’. Another beautiful example is the RHS Grand Vinehouse, available at Gabriel Ash, providing a substantial outdoor space for those fortunate enough to have a lot more space to play with! This impressive wooden greenhouse offers the gardener a truly substantial space not only to garden, but to relax, enjoy a cup of tea and chat with friends. So if you’re looking for a greenhouse in your garden (something that is much-needed in this cold British weather! ), why not consider something different from the usual steel and glass – bring some warmth to your garden in more ways than one, with a beautifully-made wooden greenhouse from Gabriel Ash.